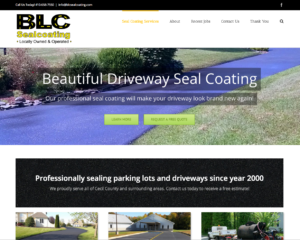 BLC Seal Coating is a long-time client with a website that was in need of a major redesign. The former design served the company well for over five years but all sites require a design audit every three to five years to keep up to date with user needs and maintain a fresh and current look. The site’s new design features responsive design for an optimized experience for mobile and tablet devices. Also included are strong call-to-action buttons for improved user-interactions and increased conversions. Visit the updated website here. Is your website optimized for mobile devices yet? Responsive Design – Is your website optimized for mobile? Armstrong Just Doubled My Internet Speed!